There are three things in life I absolutely cannot stand paying for: water, parking, and shipping. 1) Water - God made it. Why should any human feel they have the right to charge you for it? That's like charging you to breathe. I don't care how much effort it took you to "purify" it. 2) Parking - I feel somewhat hypocritical with this one. I have always said I wanted to buy a large lot near a famous, high trafficked attraction and make a living buy allowing people to park there for a small fee. But when it comes down to it, it's so frustrating to drive somewhere and then find out that you have to pay to leave your car there! Gaaaaaaaah! 3) Shipping - You order something online. You feel so accomplished because it was a wonderful deal. Then you pay the tax. Eww, that raised the price a bit. Wait, what?? There's more?? $3.99 just to ship ONE book?? Whyyyyy? It actually only cost $1.29 to mail it. Thieves! It came in the mail today! Disney is taking over the world! Buble's "Cry Me a River" really reminds me of Pirates of the Caribbean. Like really. Notice how SO many songs sound like other songs. I guess the whole "nothing is new" line is true after all. As for Phil Wickham's most recent cd, it sounds like Mulan. Go ahead, sample it. (Especially the beginning of the song "Cielo." I applied for a job at eHarmony. Go ahead, laugh. Okay, please conclude your laughter now. I have always had my [negative] opinions on internet-birthed relationships. How weird is that?! I thought. How can you look for your future spouse online yet still claim that God is in control?! Well, after much thought and deliberation, I have decided that using online dating sites such as eHarmony is just making use of your resources. We are living in the 21st century. The internet is a regular way of life. If people in Old Testament days sent out servants to go find spouses for their children, who's to say that online dating is wrong? With my sort of luck, this will be the only job I manage to land...unless, of course, eHarmony finds this blog, takes offense at my previous opinion, and stays clear of me. Either way, eHarmony is my backup plan if I am 35 and unmarried...employee discount or not...13 years to go! I left my heart in England. 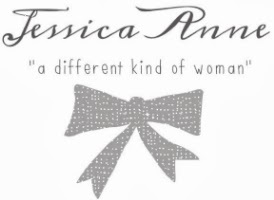 I haven't blogged in ten days. And I am suffering from a lack of inspiration. So, I am just going to continue my tradition of random countdowns! 11 days til Santa Cruz! 13 days til San Diego! 14 days til David and Esther's Wedding! 20 days til Beachside Summerfest! 27 days til Yvonne's Birthday! 56 days til Miray's wedding! 63 days til Junior High Camp! 76 days til I go to England! I love how every countdown ends with Creationfest. Yes, my life revolves around it. Forget New York—I left my heart in England. It was bound to happen. I love candles. I light them all the time and I leave them unattended. Today, I lit a candle, set it on my wooden dresser and left to the kitchen. I was gone for probably half an hour. Mind you, the candle had already been lit for about an hour before. When I returned to my room, I found that it had completely melted all over my dresser, down the side, and all over the carpet. "Haven't you done this before?" might you ask. Well, I have, but not to this extent. I was faced with this dilemma: how in the world do I get wax off of carpet?! The internet came to my rescue. Thank you, Mr. Al Gore. Place a paper bag on the area of the carpet with wax on it, and with an iron on the lowest level, iron the paper bag using slow, circular motions. It worked! What do you know! So, if you are ever in the same dilemma, try the paper bag thing. It's magical! 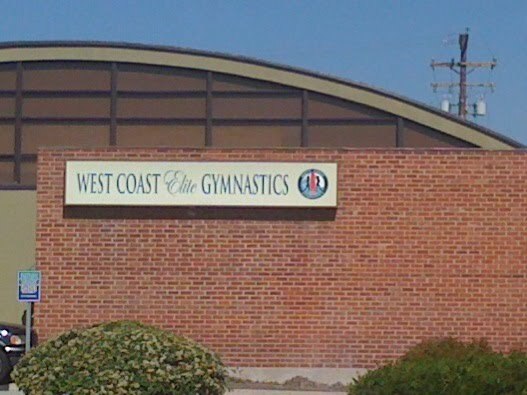 It's funny to look at this place which used to be a fire station and is now a gymnastics place. When I was little, I did gymnastics for about a week. I quit cuz I couldn't do a cartwheel. I STILL can't do a cartwheel. Change is inevitable. Graduation is in fifteen and a half hours. 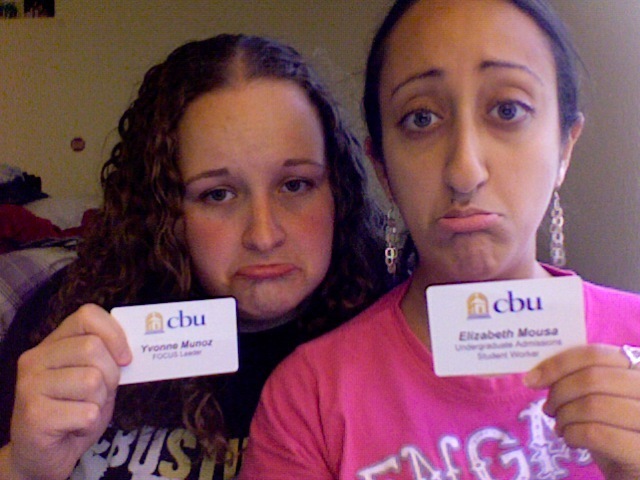 Yvonne is no longer a focus leader and I am no longer an undergraduate admissions student worker. We are sad. But we are also excited to see what God has in store for the next chapter of our lives! Pray for us!